Any Supernatural fans out there? I am now a third of the way through season 9 so hopefully I will be less obsessed once I am done. Until then... I was trying to decide between doing a 'freaking pie better be worth it' and a 'I've got a GED and a can-do attitude.' 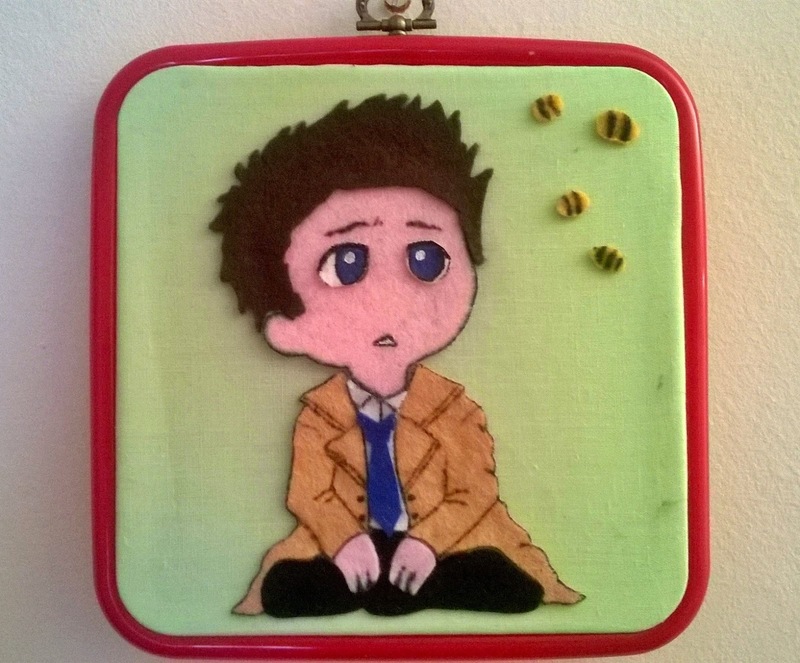 But instead, I did this little chibi Castiel. I based it on a picture I found on the internet but I couldn't find a source for it - sorry. Not sure I am totally happy with his eyes. I nailed the trench coat though, right? I'm gonna need a bigger window. There's another 6 sitting on the floor. 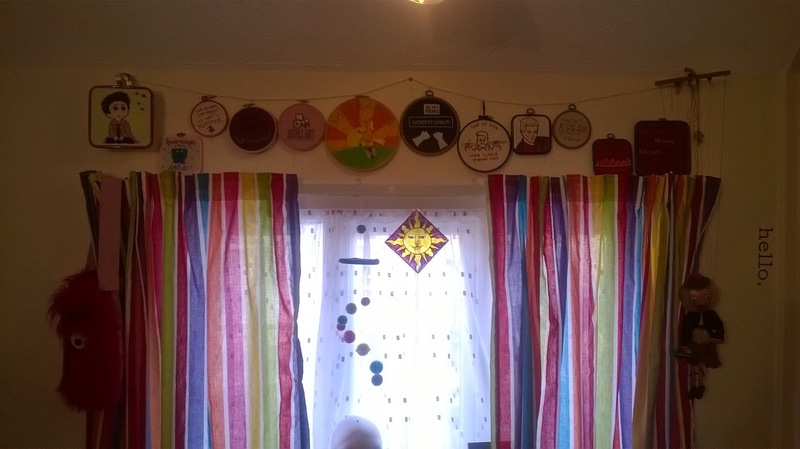 Anyone want an embroidery hoop? !